When deciding what kind of fence you want for your property, there are many different factors to consider. You want something that will be long-lasting and durable, that will match well with the exterior of your home, and that will work well with your budget. If that sounds just like what you’re looking for, then Freedom Fence & Home recommends a wood fence for you! Wood fences have long been a top choice amongst homeowners looking to add visual appeal to their property. A wood fence has the most obvious benefit of a classic look- everyone grew up wanting the ideal picket fence in his or her front yard! Wood fences can be made to have different design details depending on your individual taste, but in the end, they will always come out looking timeless. 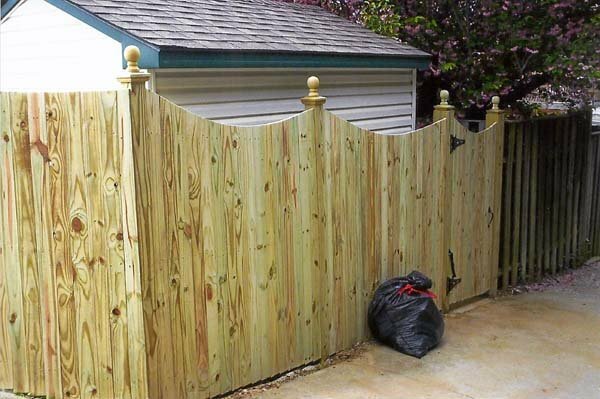 Another benefit of wood fences is that they are durable. Think of how well your hardwood floors can put up with years of wear and tear. Wood fences can last for decades, making them a sound investment for your home. If it is properly and professionally installed, you will be able to enjoy your wood fence for years to come. Wood fences are also one of the most affordable fencing options. Other materials, such as wrought iron, are expensive to produce and to install. Wood is a naturally occurring resource, and so it is much more cost effective to choose a wood fence. Last, but certainly not least, wood fences can increase your home’s curb appeal and, consequently, its property value. Because wood fences are so timeless and reliable, many homeowners-to-be look for them when house hunting. If your home already has a wood fence when it comes time to sell, it could edge out the competition and sell even faster. With 40 years of experience, Freedom Fence & Home has provided the highest quality fence and decking materials to its many residential and commercial clients throughout in Baltimore, Maryland and Harford county as well many residential clients in Baltimore county and Baltimore city. This entry was posted on Tuesday, September 3rd, 2013	at 7:52 pm	. Both comments and pings are currently closed.